Imported as raw material in July 2018 before carving and styling. 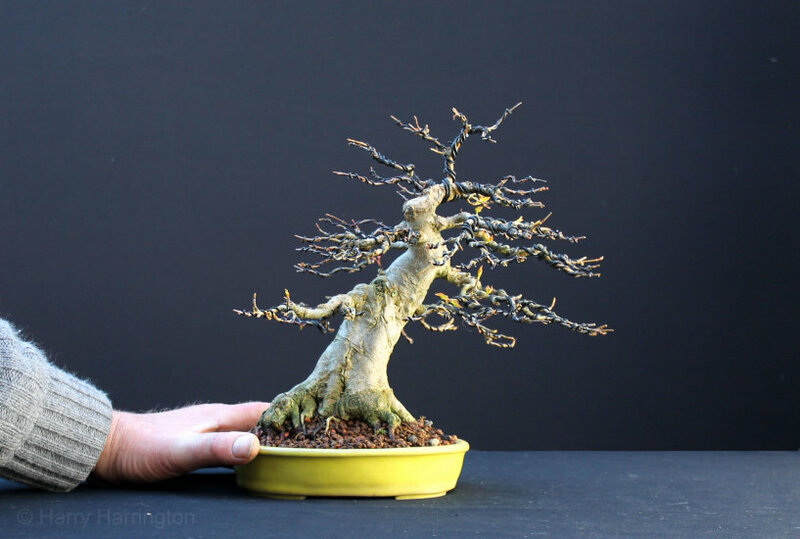 Height 46cm/19" with a 7"/18cm trunk base. Carved and styled over 6 hours during August 2018. 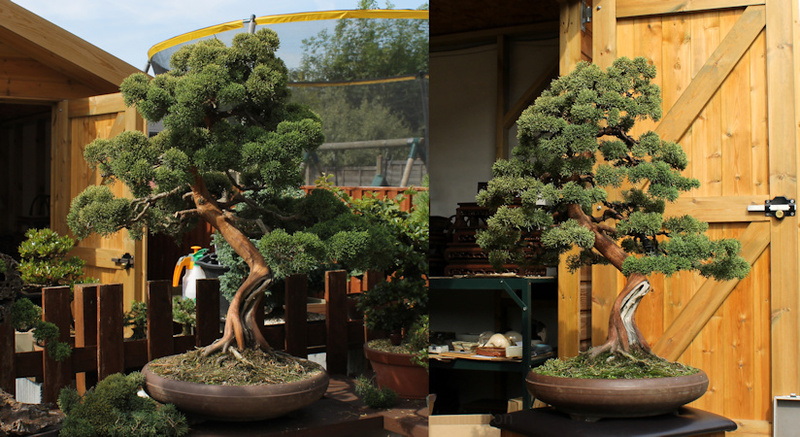 Pruned and carved during November 2017. 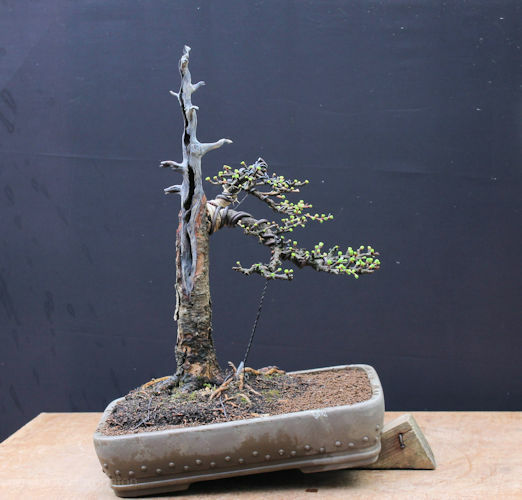 12"/30cm in height, with a 6"/15cm trunkbase. 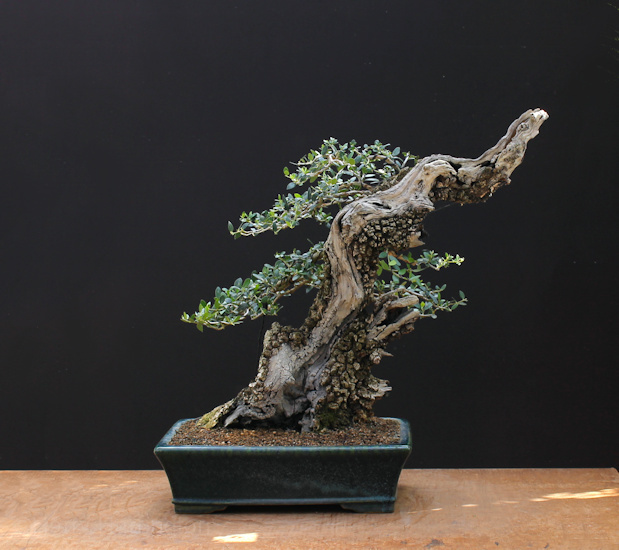 Welsh yamadori Hawthorn, carved and styled during April 2018. 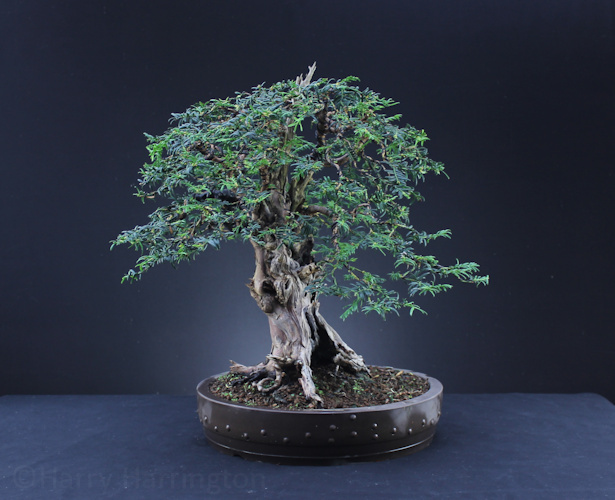 Height 18.5"/45cm with a 9"/22cm diameter base. 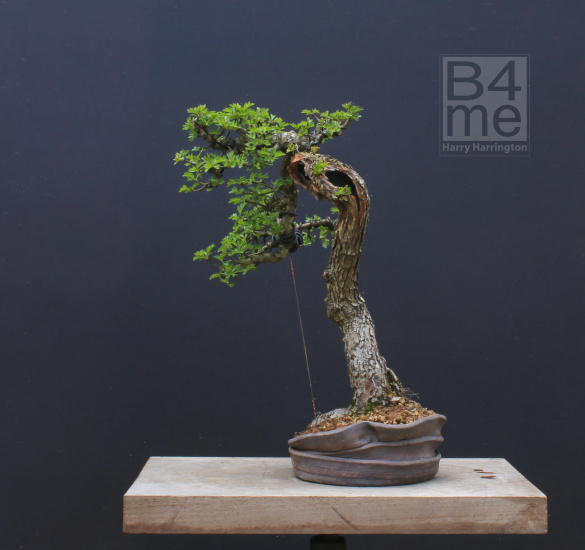 Height 22"/54cm, trunkbase 7"/17cm wide. Re-styled over the course of 2015 for its owner. Styled during January 2016 for its owner. 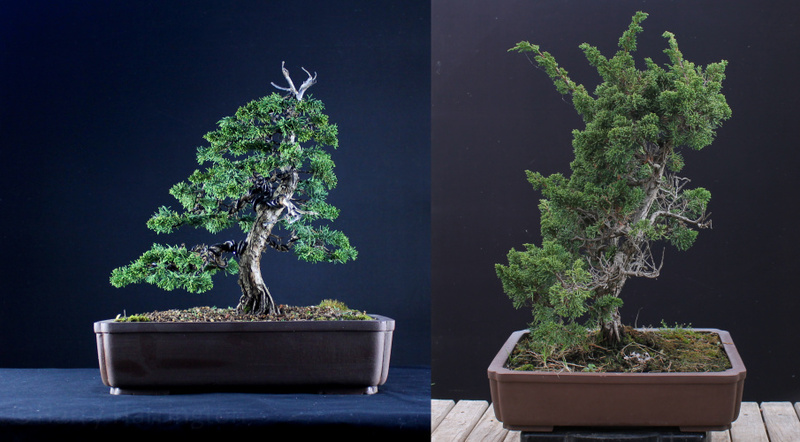 Styled during 2015 and 2017. 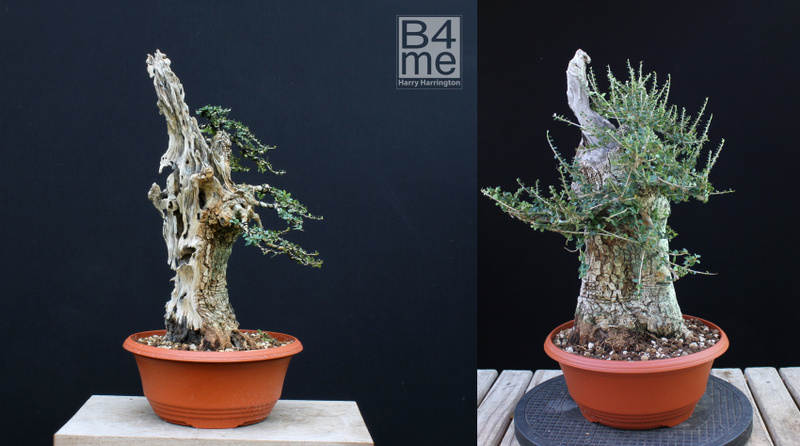 Styled and repotted for a client during April 2016. 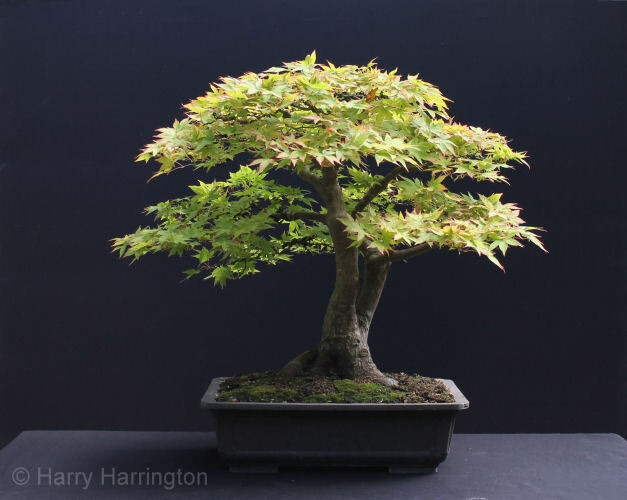 Bonsai pot by Dan Barton. 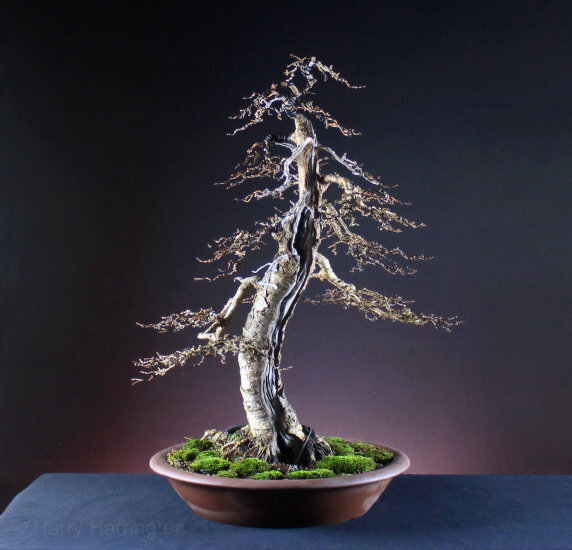 15"/37cm tall with a 50cm wide trunk. 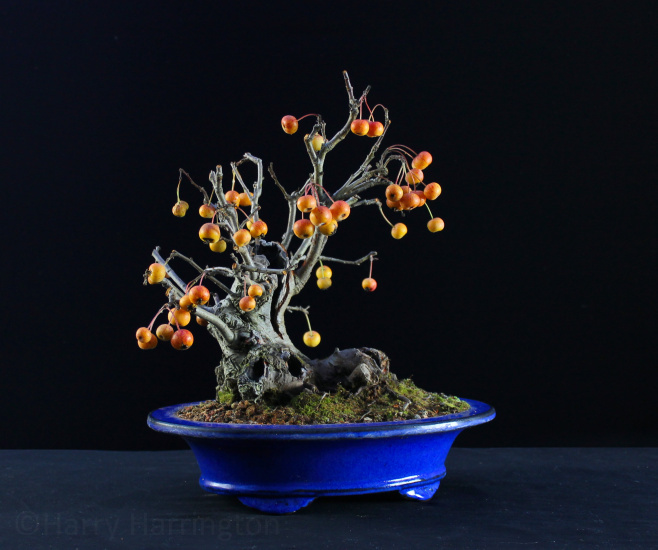 Bonsai pot by John Pitt. Styled for a client during April 2016. 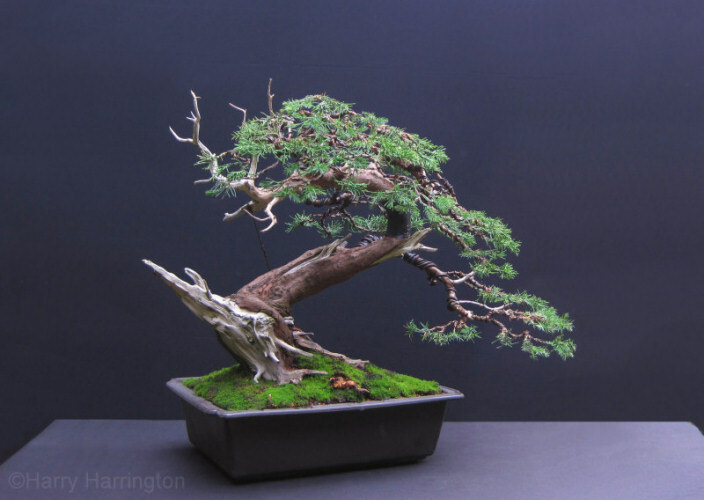 This Larch was originally owned by the late Barbara Tydeman, former Chairman and founder Member of the Middlesex Bonsai Society. 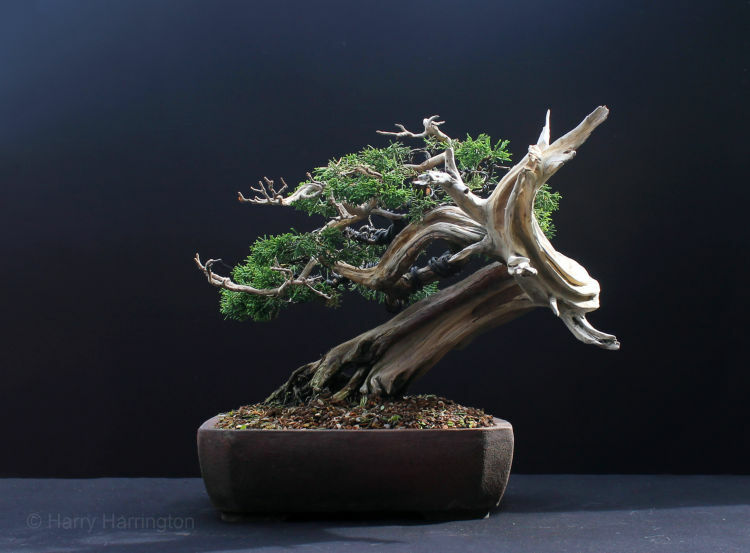 to carve and refine the deadwood on the tree. 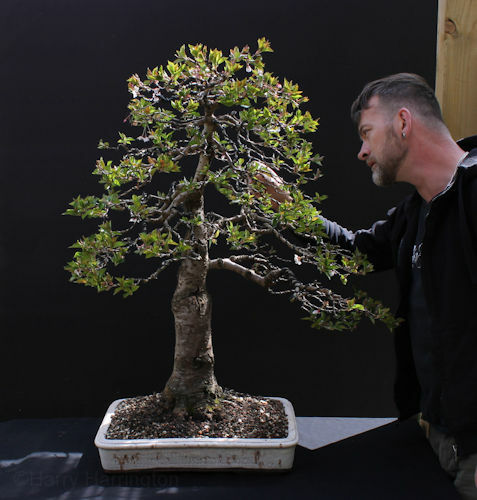 Trained over 30-35 years from a garden centre tree by its previous owner. Styled during March 2016 for its current owner. Styled during July 2016 for its current owner. Styled during 2015-2016 for its current owner. 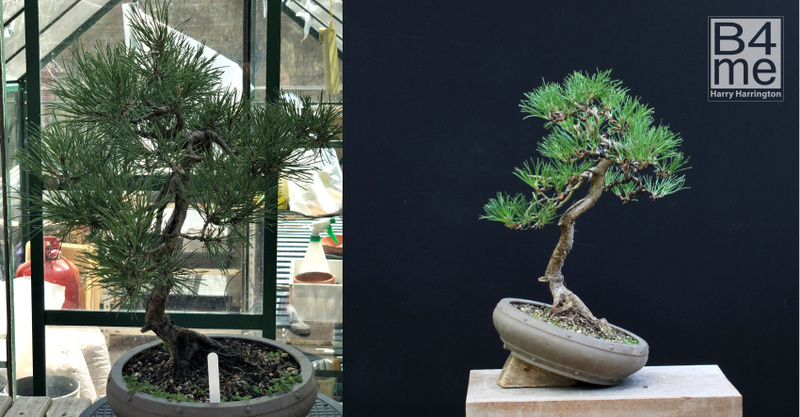 Planted in a vintage Shu-hu bonsai pot. 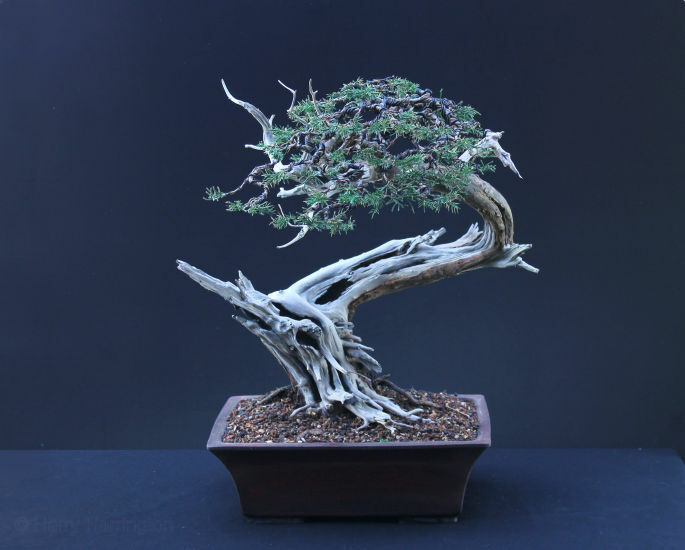 Carved and styled during 2016 for its owner from imported yamadori material. 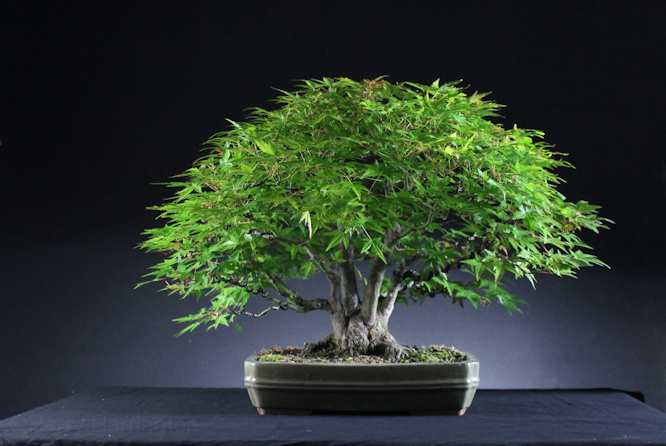 Height 17"/42cm, trunk diameter 4"/10cm above the nebari. 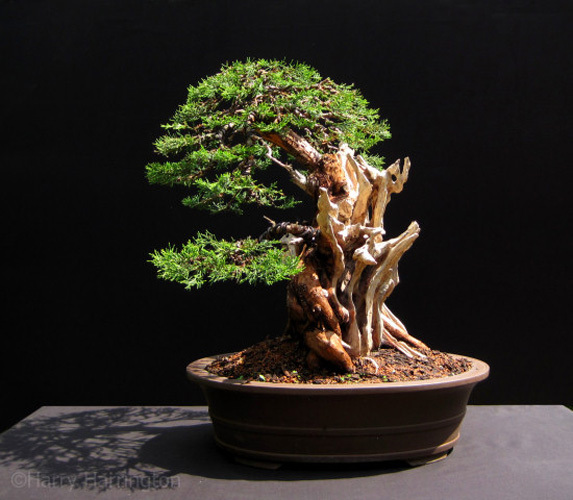 Imported bonsai. 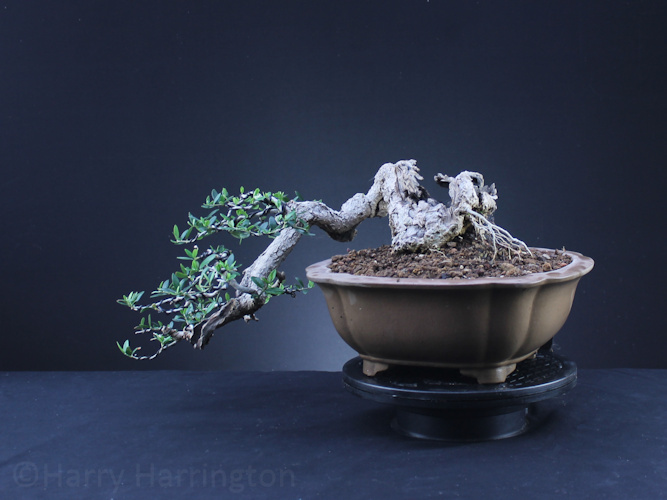 Unknown bonsai pot.Styled during July 2016 for its current owner. 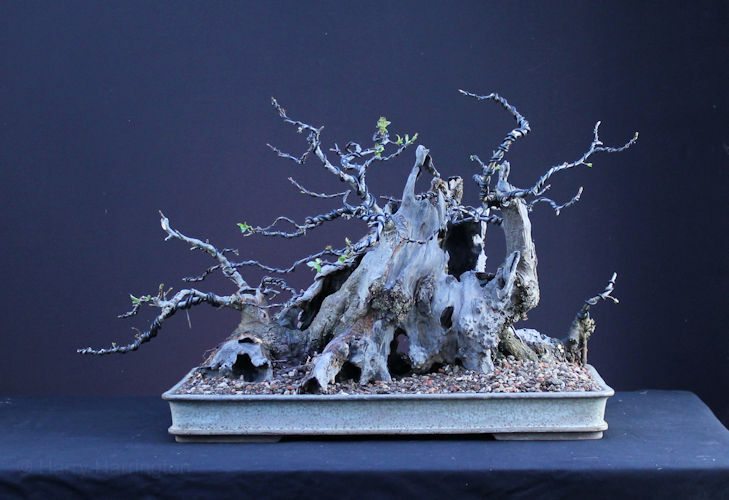 Hawthorn bonsai carved from an old stump for its owner. Height 20"/50cm approx. 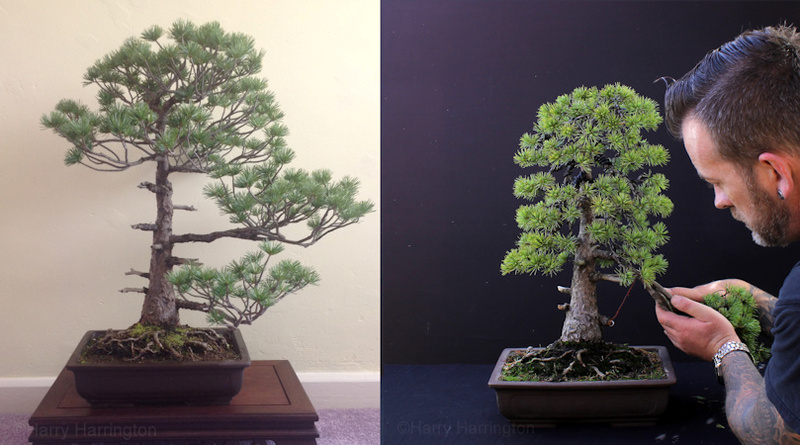 Japanese White Pine with few lower branches, re-styled for its owner. I decided to keep the first branch for the health of the tree, this will be removed next year. 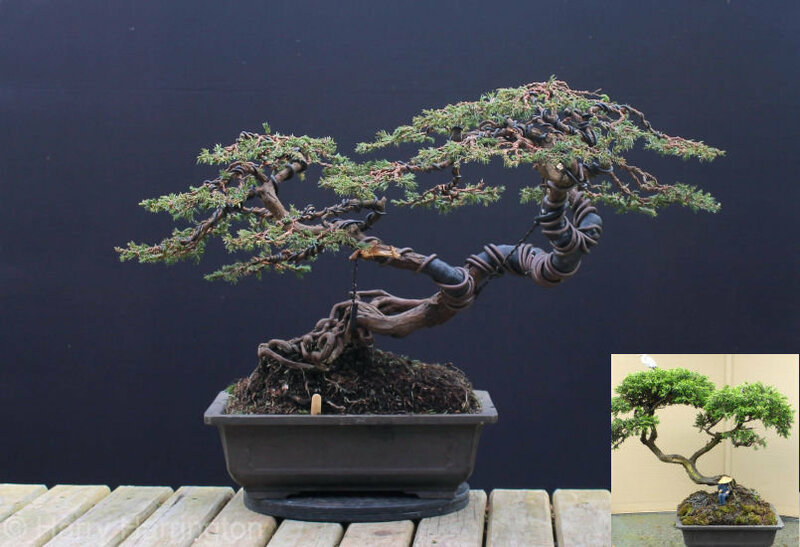 Tall imported Pine bonsai, reduced in height by coiling and placing the branches. Height now 10"/25cm.. 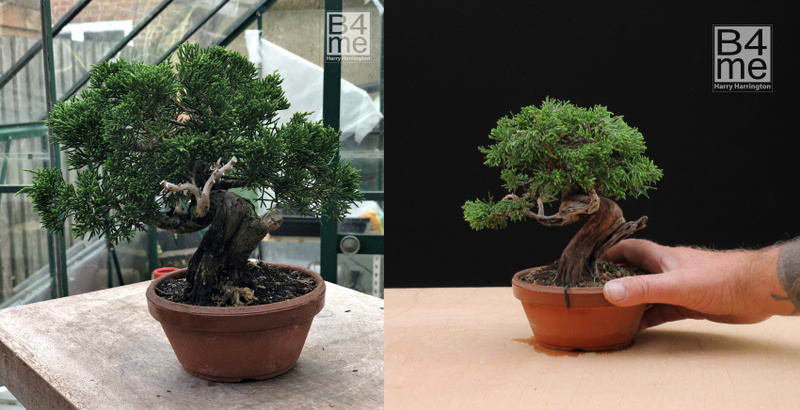 Tall imported Shimpaku Juniper bonsai, re-styled for client. 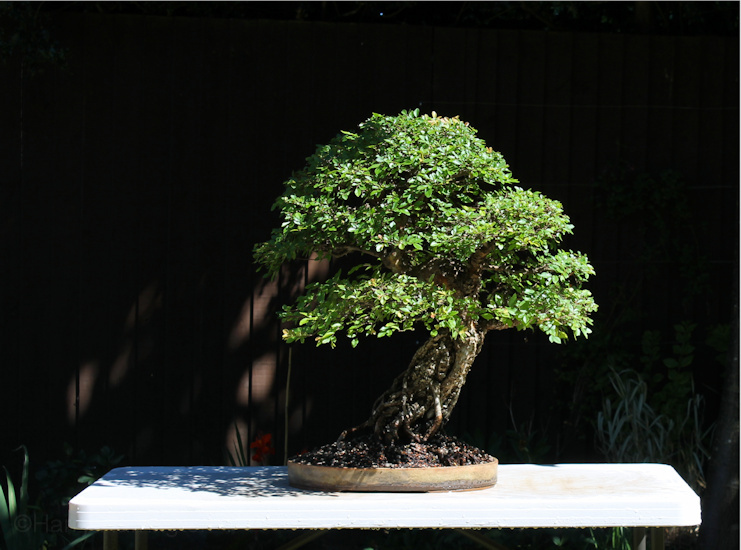 Carved and styled during a demo for the Middlesex Bonsai Society in May 2017. 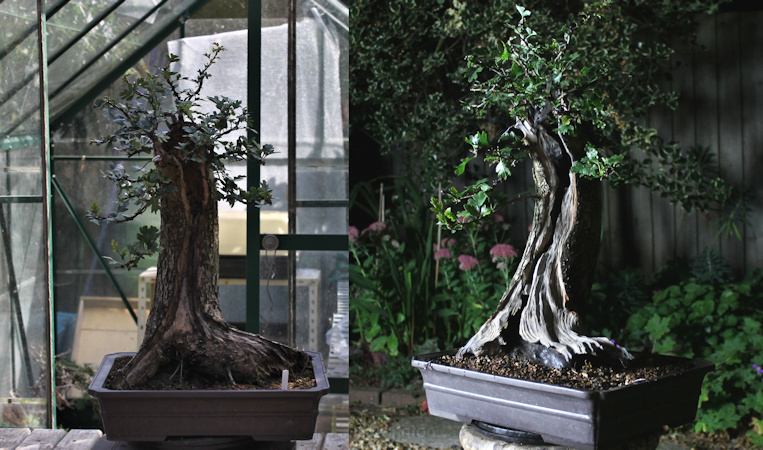 Blackthorn collected 6 years ago by its owner. I was required to carve and embellish several wounds so that they added to, rather than detracted from, the design. 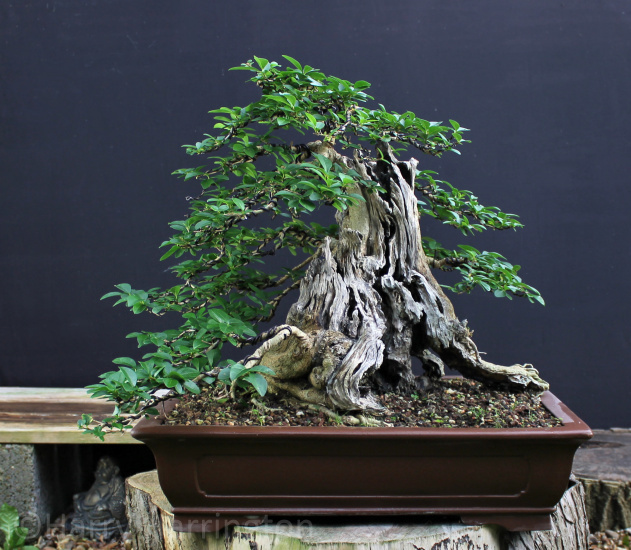 I also add a deadwood section between the main and secondary trunk to break up a fairly dull part of the base. 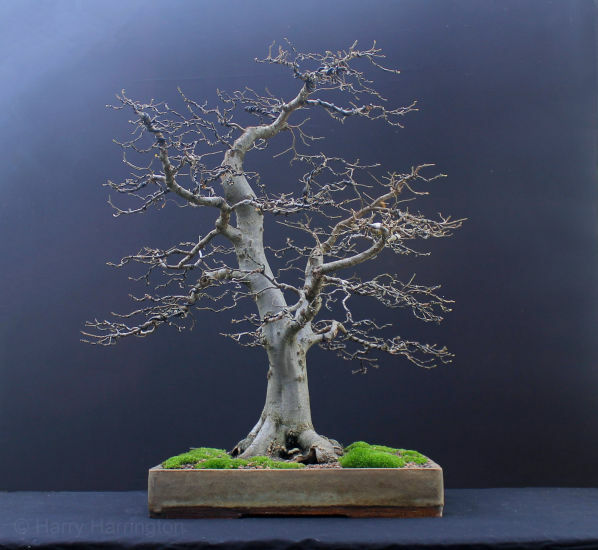 Carved and styled during a demo for the Chiltern Bonsai Society in May 2017.